Isolationist goat-folk of the Golden Plains, bordering the Elsir Vale.. Being associated with other goblinoids, this puts all bugbears at the top of the enemy list in the Elsir Vale and nearby regions. Dragonborn once united under the huge empire of Arkhosia. Today, that land is run by feuding shoguns vying for control. Very few dragonborn are found in the Vale, but members of a merchant caravan or a lone wanderer (likely a ronin) may venture into these lands. Arkhosia, Golden Plains, Gyrian City-States. These dark-skinned elf-like beings have recently appeared in the ancient ruins of the dragonborn in northern Arkhosia. To now, they are unknown outside there. 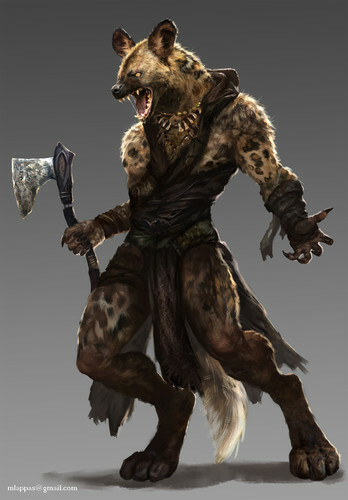 The aggressive gnolls have quite an influence on the Vale and travel to and from it, for they are one of the dominant races of the Endless Plains. Gnolls rove widely over the plains. They are also a menace in western Arkhosia. A constant menace and enemy to the people. Goblins are very tribal people. 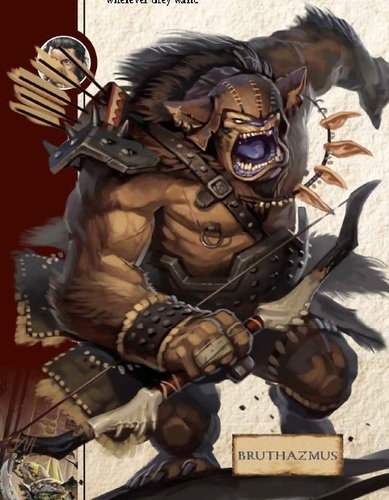 They tend to be loyal to members in their tribe but regard all others, including other goblin tribes, as outsiders. It takes a strong presence to unite goblin tribes. Without this strong leader tribes remain isolated and tend to be local nuisances at worst. United, they form a horde of nasty raiders that will stop at nothing to destroy and pillage the settled lands. The goblins that make up the tribes of the Elsir Vale area are easily distinguished by their bright coloured skin. 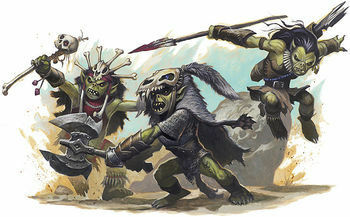 Goblins belonging to a particular tribe share a skin tone that might be green, yellow, blue or red, or any other colour. As half-elves are likely to worship the same beings as their parents, half-elves typically follow the standard pantheon, the elven pantheon, the spirits of the land, or all three at once. Given it was a hobgoblin that led the last wave of destruction out of the mountains, nobody in the Elsir Vale likes these militants. They are regarded as enemies wherever they go in the central realms. When there is trouble on a large scale in the Elsir Vale, you can bet hobgoblins are behind it. They tend to attach themselves to any cause that would bring harm to the settled people of the lowlands. They hide away in the mountain fortresses and caves awaiting the next strong leader to give them cause to sweep out of the mountains and attack. Until that day comes again, each tribe fights for survival and living off the land and small-time raiding. The Horde of the Red Hand was the last unification of the evil tribes of the Vale and it was the hobgoblins that formed a majority of the soldiery during that campaign. Many of the leaders were also hobgoblins, including the supreme leader, Azar Kul, the half-blue dragon, hobgoblin. It is only a matter of time before another great leader arises and calls the hobgoblins to arms again. Endless Plains, Gyrian City-States, Shentulka. A reclusive race found in the swamps and riverlands of the Vale. Some tribes have engaged in trade with the other inhabitants of the Vale. The minotaurs of the West are a conquered people. The dwarves and humans destroyed their savage tribes and integrated the minotaurs into their realm. Minotaurs are widely regarded as elite guards for the noble families and many rise to positions of leadership. They are large humanoids with cloven feet and the heads resembling bulls with curling horns that range from one to three feet. Shaggy fur covers most of their body. Minotaurs are born with long, tufted tails, but those that wear armor frequently have their tails removed. It is a minotaur's nature to be savage and crude, but over the generations the minotaurs living in the civilised lands of the West have been able to temper their outbursts. A minotaur's presence can still be threatening, but it is unusual for them to act on their savage instincts. Most still fight with fury, but they are not openly hostile to all other people (like their brethren still in tribes). They may still vent their outrage through combat, but they are not quick to lose their temper. In fact, many minotaurs are great tacticians in battle. They are passionate and value friends and clan mates. Even those that are slaves value their masters if they have been treated well. Minotaurs are well aware of their position as slaves or an underclass in the West, but this does not stop them striving to earn the best position they can, such as head of the noble house guard. Many have also earned their freedom through great deeds that benefit their noble house owners. Several of these free minotaurs often continue in the employ of their noble house anyway. Age. Minotaurs come of age quickly and are capable functioning adults around the age of 15. Due to their physical lifestyle they tend to continue to age faster than humans too. Minotaurs rarely live to see the age of 60. Height & Weight. Minotaurs typically stand 6-7 feet in height. They have stocky builds. Your size is Medium. 5' 6" +2d8 175 lb. x (2d6) lb. The minotaurs of the West tend towards lawful and neutrality. 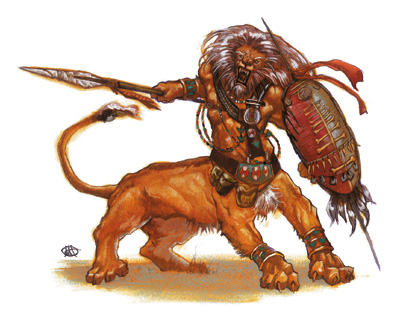 Typically martial classes, though already raised to serve, many minotaurs take to serving deities too, making paladins and clerics common enough. Common and Dwarven. Minotaurs of the West no longer speak their native tongue (which was a form of the Giant tongue), but now only speak the languages of those they live with. Minotaurs that have left their clans typically did so because they did not like the way their people worshipped demons and dark entities. A minotaur that has come out of the West typically worships a deity from the standard pantheon or none at all. Minotaurs are more likely than others to focus their attention on one deity over all others. Head Slam. Whilst you can gore with your horns, you may instead slam with the hard, flattened part of your head. The slam deals 1d4 + Strength modifier bludgeoning damage. You can use your head slam following a Goring Rush in place of your horns if you like. Anti-Social (Minor) OR Clumsy (Minor). 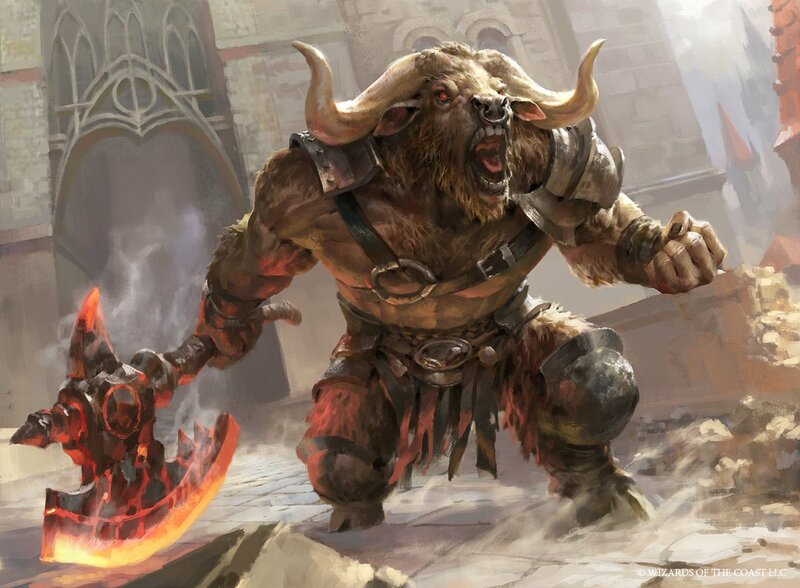 Whilst not outright savage, many minotaurs remain aggressive in their demeanor. Their hulking size can also hinder agility. 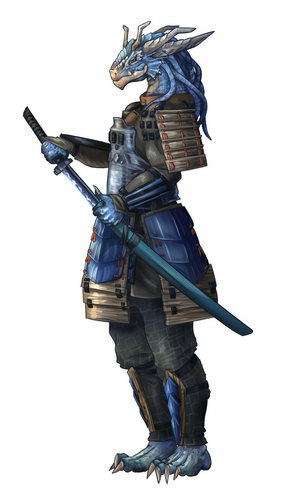 Honor-Bound (Minor). For all their pent-up fury, minotaurs are bound by a powerful sense of honor. Their honor demands that they keep their word once it if given and each minotaur remains faithful to friends and clan above all else. Bonus Proficiencies. 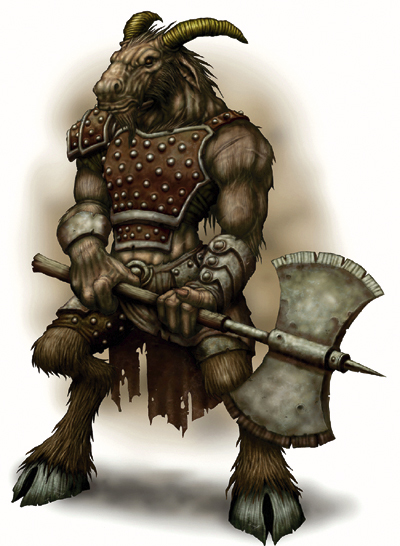 For each minor drawback assigned to a minotaur, you select one of the following: Athletics, Endurance, Intimidation, Persuasion, Axes & Picks (Simple + Martial), Long Blades (Simple + Martial), Natural weapons, Spears (Martial + Simple), or one relevant language. Mojh were human. In Arhosia and Shentulka there are many undergoing these rites and physcial changes to be more like their draconic overlords. This race of bipedal ratlike folk emerged from a single forest in the Elsir Vale around a century ago. They have fully integrated into Elsir society where they make fine shepherds, scouts, hunters and even farmers. The people have accepted the driven ratlings, but they are regarded as lower class citizens of the Vale. Ratlings refer to themselves as nezumi, but have no qualms about other folk giving their race the nickname ratlings. Ratlings tend to be very pragmatic people. If their home becomes unlivable, they move. If their skills are no longer required, they adapt and try their hand at something else. Ratfolk have easily adapted to life in the Elsir Vale. 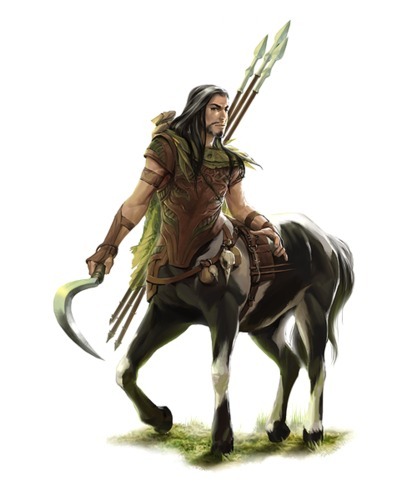 They can be found in isolated pockets (particularly in the northeast) just as often as they can be found in the settlements, aboard halfling barges or tending to herds. Ratlings always see themselves as being useful. If they do not know how to do a particular job, they will learn. Although there may be rare evil individuals, what endeared the ratlings to the people of the Vale when they 'emerged' was their fierce hatred of the goblinoids. Ratlings see goblins in particular as enemies. Perhaps it is because they could have been seen in a similar light by the taller races and they needed to make sure this was never going to be the case. Perhaps the goblins were simply competitors for the same lands when the ratlings lived solely in the wild. Whatever the drive, ratlings despise goblins. Ratlings enjoy social interaction. They will not say something in 10 words when they have time for 100. Many humans and dwarves can become impatient with ratlings and their constant chatter. Ratlings look very much like bipedal rodents. Some are thin with pointed facial features like rats, others are more rounded in shape with large cheeks. They typically stand 3-4 feet high and weigh about the same as a halfling. All have large ears and pronounced incisors. Their bodies are covered in fur that varies in colour according to clan. Due to their savvy, streets-mart and exuberant nature, ratlings make both friends and enemies quickly. Alignment. Ratlings have little sense of property and home and are likely to change their mind from day to day, so they tend to chaotic alignment. Most are neutral, many are good and very few are evil. Ratlings adapt to all circumstances and take the chances given to them. That means they may be any class, but circumstances often lead to them being rogues, and particularly good rogues at that. Ratfolk names are long, consisting of a series of sounds made up by consonant-vowell-consonant where the consonants are usually hard sounding. These names have meaning and are added to throughout a ratling's life, especially following great deeds or new skilled learnt. Added sounds are separated with an apostrophe. Surnames are simply part of this name and names are the same for females and males. When a ratling is dealing with others they usually shorten their name to the first sound or two. So Mikmiksal'tolTik, would go by Mikmik or just Mik. Ratlings are very fond of nicknames too. They give a one word nickname to all those they meet and if those people are kind enough to return the favour, a ratling beams with pride and adopts that nickname when dealing with those people. Typical Names. Hutnitkin, Jukdinkitzal'met, Jikjikmen'gen, Hidgad'nikmij, Vetkalgin, Maklokfen'lil. Nezumi do not understand deities and find no value in worshipping them. They do not venerate ancestors or spirits either. Rather, they believe an individual's kichi ('heart') shapes the universe, making each individual life - as well as the collective life of a pack or the entire race - inherently valuable. (3E D&D Oriental Adventures chapter one). Ability Score Increase. Your Dexterity score increases by 2, and your Constitution by 1. Cheek Pouches. You can store up to 2 light items (or 20 appropriate tiny items) in your cheek pouches. You can disgorge the entire contents of your pouch as a bonus action. Darkvision. You can see in dim light within 60 feet of you as if it were bright light, and in darkness as if it were dim light. You can't discern colour in darkness, only shades of grey. Your large, dark eyes have adapted to the dim conditions of the deeps. Ratling Nimbleness. You can move through the space of any creature that is of a size larger than you. Keen Senses. You have proficiency in the Perception skill. You have sharp eyesight and sensitive hearing. Also, due to your keen smell, you do not take poor vision penalties when tracking. Annoying (Minor) OR Weak (Minor or Major). Ratlings can become annoying with their constant chatter and energy and many of small and weak builds. Bonus Proficiencies. 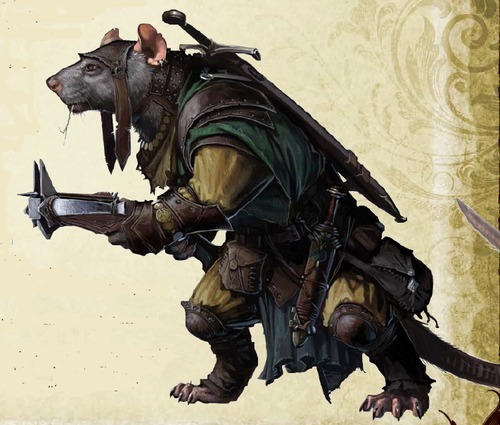 For each minor drawback assigned to a ratling, you select one of the following: Natural weapons, Acrobatics, Endurance, Stealth, Survival, or one musical instrument group or tool set, or one relevant language. Bonus Racial Feat. If you take the major drawback for Weak, you select one ratling racial feat. Shifters are spiritual humanoids that are able to physically manifest their bestial nature. In the past they lived life in the wilderness, but the shifters of today are more likely to interact with the civilised races and their settlements. Shifters are not rare individuals with wereblood as may be the case in other settings. They are an ancient race that have a physical and supernatural connection to the animal world. Before civilisation came to the lands around the Elsir Vale, the Shentulka revered the shifters as beings able to channel their totem. To the Shentulka, shifters are often considered spirit-folk. In the same way that elves have an undefinable connection to the forests, shifters have such a connection to the animals of the wild. Shifters don't typically worship anyone, but they do venerate the spirits. The Shentulka often view shifters as a spirit-race and some shifters do believe they are kin with the spirits. Shifters are accepting of other people's beliefs but are unlikely to ever worship their deities. Stubborn (Minor). This is a common drawback for the larger beasthides. Outsider (Minor). The feral appearance and link to were-creatures is off-putting to most races. Bonus Proficiencies. For each minor drawback assigned to a beasthide shifter, you select one of the following: Endurance, Intimidation, Survival, or Natural weapons (claws can be used for unarmed strikes). Loyal (Minor). Longtooth shifters typically develop strong bonds with their allies and treat them as a pack to be protected. Bonus Proficiencies. For each minor drawback assigned to a longtooth shifter, you select one of the following: Athletics, Acrobatics, Endurance, Survival, or Natural weapons. Curious (Minor) OR Haughty (Minor). Swiftstrikes often take on the aloofness of a feline or the curiosity of a young feline or rodent. Bonus Proficiencies. For each minor drawback assigned to a swiftstride shifter, you select one of the following: Athletics, Stealth, Survival, Brawling weapons (Simple), Natural weapons. Cautiuous (Minor). Wildhunt shifters are constantly alert and looking for threats. Bonus Proficiencies. 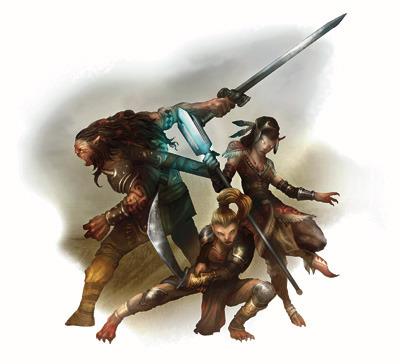 For each minor drawback assigned to a wildhunt shifter, you select one of the following: Athletics, Endurance, Insight, Nature, Stealth, Natural weapons. Tieflings are mostly found in the far east in their homeland of New Turath. Rare travellers, merchants and seekers of arcane arts may make their way to the lands around the Vale. Arkhosia, Gyrian City-States, [[New Turath]]]. Wemics combined the features of a lion and humanoid in much the same way as a centaur combines humnaoid and equine features. They have come into increasing contact with the settled races (mostly through their shifter allies).